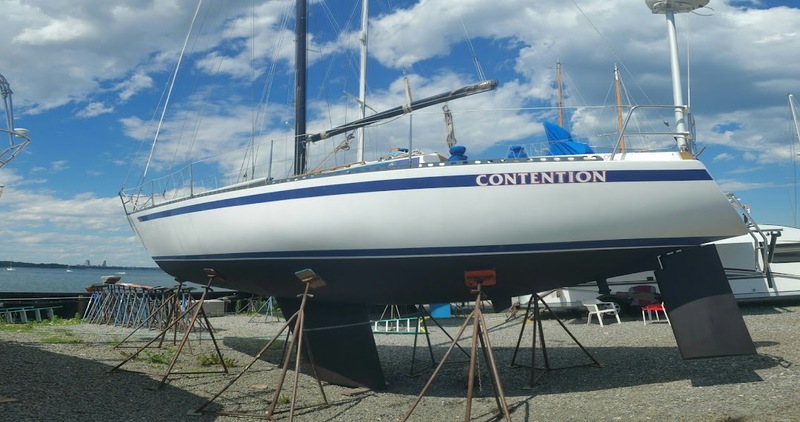 This boat is a Sloop with a Mast-head Rig, and 492 sq. feet of sail area. 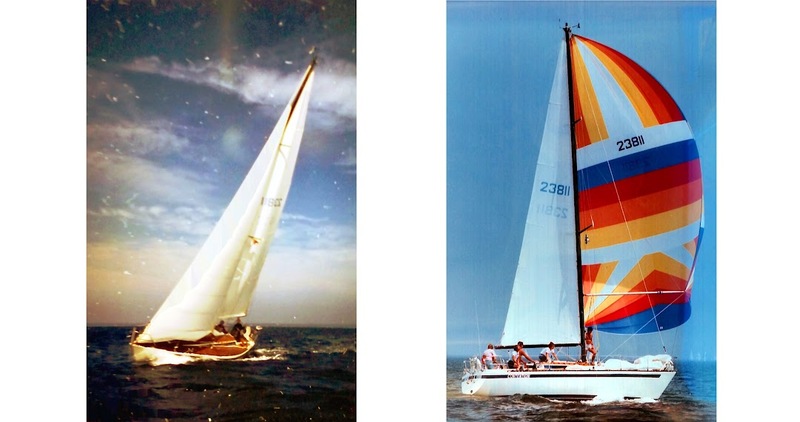 She has 10 Sails, Including Main Sail, Genoa, Jib, Stay-sail, Spinnaker. 1 Yanmar 20QM20 Diesel Engine, 20 horse power with Hours. 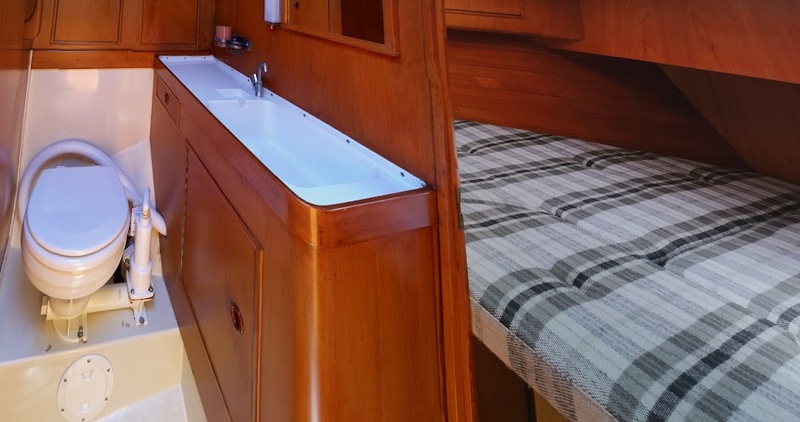 Your best sailing days belong aboard this Kalik 33. 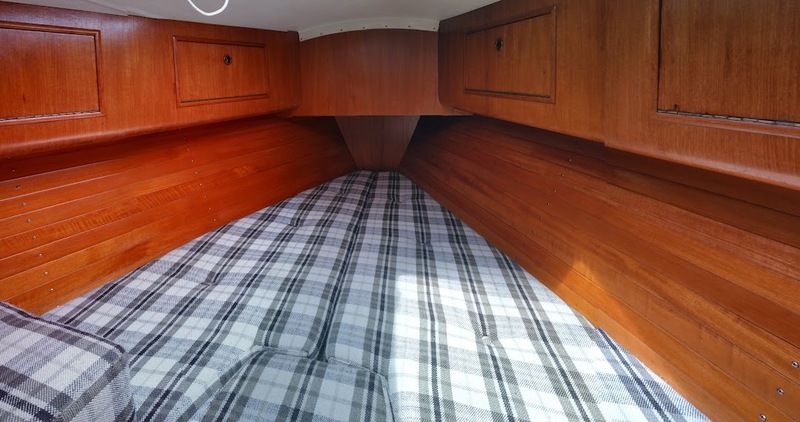 She was built to win races, as well as to cruise swiftly, comfortably, and safely at sea.. With her long sleek lines, full teak decks, and spacious teak interior, she has the aesthetic appeal of a high end yacht, at the price-point to meet a middle-class budget. Designed by Jacques De Ridder, an experienced and well trained naval architect from Amsterdam, this racer/cruiser has been sought after by fine-taste Yachtsmen around the world. She has a competitive race record. Her owners have stopped at no expense to get her passed her competitors. 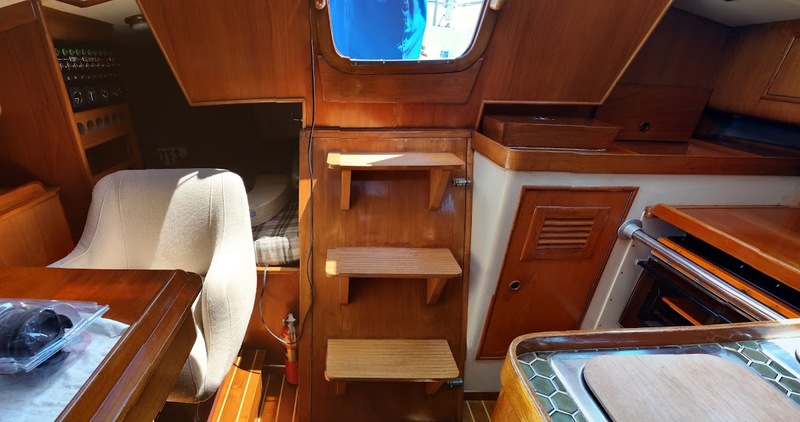 Her tall rig, six winches, spinnaker gear, halyards led aft, folding prop, large sail inventory, and a full complement of Raytheon electronics, means filling up your trophy case with adornments to boast about. She’s also a great cruiser. 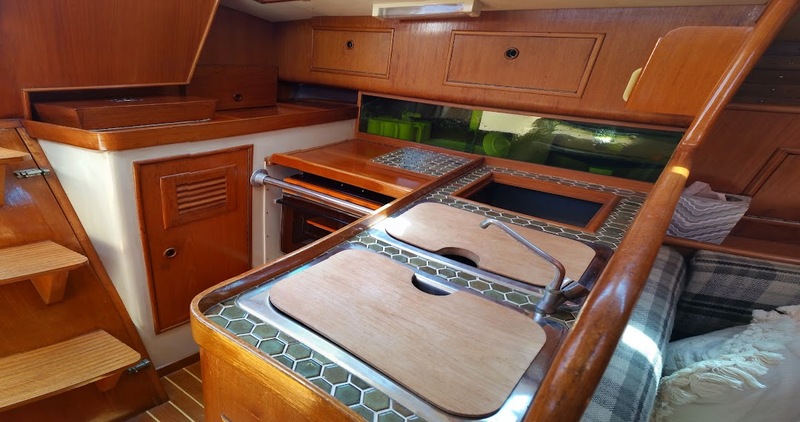 To start with, she is magnificently finished with teak decks and a teak cockpit with all the amenities to help you get comfortable. 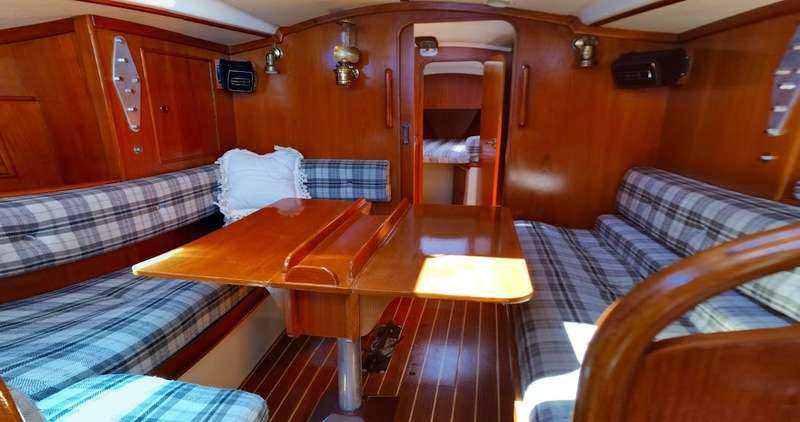 Below decks, she is just as gorgeous with a meticulously cared for teak and holly sole, and classic teak interior. 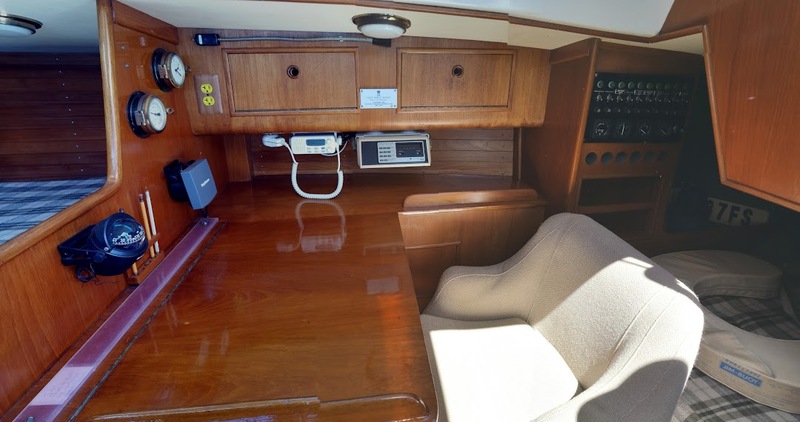 Her separate nav-station is equipped with the Raytheon multi-function repeater, VHF radio, and easily accessible instrument panel. 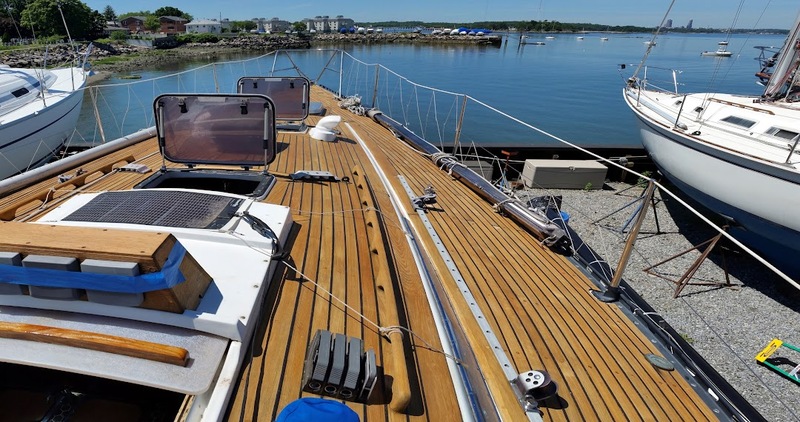 You can count on this Kalik 33, because she stands out from others as one that has been especially well-cared for and maintained by one owner.. That means a set-sail and go vessel.